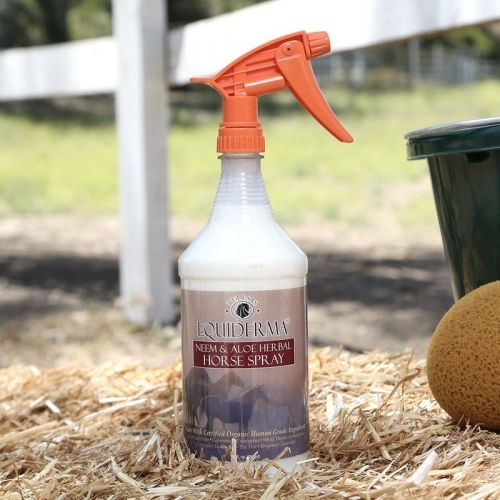 Equiderma™ Skin Spray for Horses | Florida Farm & Feed, Inc. If you’re looking for a product that predictably and reliably knocks out skin issues overnight without putting your horse through painful scrubbing and debriding of scabs, look no further. 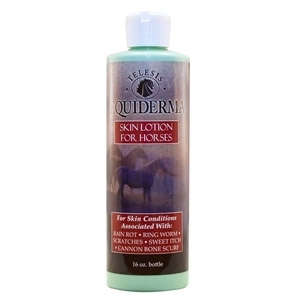 Equiderma™ Skin Spray is a fantastic aid in the treatment of: muck itch, summer itch, sweet itch, rain rot, scratches, and insect bite-related skin conditions. Equiderma skin spray is a leave-on product. Just apply and walk away! Our product will do the rest. It is quick, fast acting, non-messy and easy to apply.